Visitor registration for Milipol Qatar 2020 is soon available online! Be ready to get your free e-badge to attend the international event for homeland security and civil defence! Registrations are soon available online to exhibit at Milipol Qatar 2020. Be ready to book your stand and secure the best possible location within the international exhibition of homeland security in the Middle East! ►► Milipol Qatar 2018 : a Civil Defence exhibition! 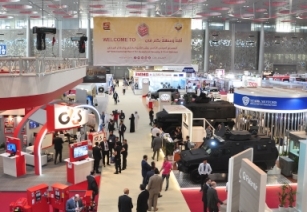 In 2018, Milipol Qatar incorporated the existing "Civil Defence Exhibition & Conference". The 2 events merged to become the region's Homeland Security and Civil Defence leading event! Milipol Qatar 2018, a record breaking edition! Discover below the Milipol Qatar 2018 list of exhibitors! The seminar programme is online! Discover the different topics that will be covered for this 2018 edition. Discover all our 2018 partners for Milipol Qatar!